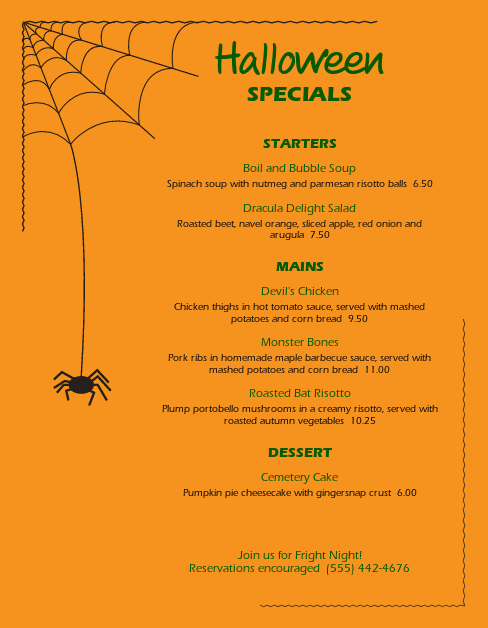 A spooky spider drops down from its cobweb set against a bright pumpkin orange backdrop. Drink or food specials stretch down the center of the page, accented with green menu headers. 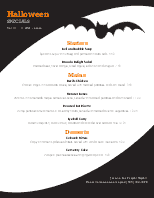 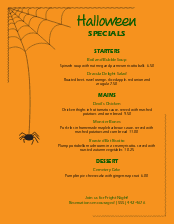 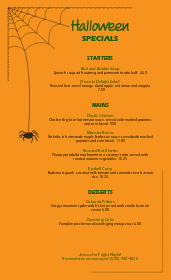 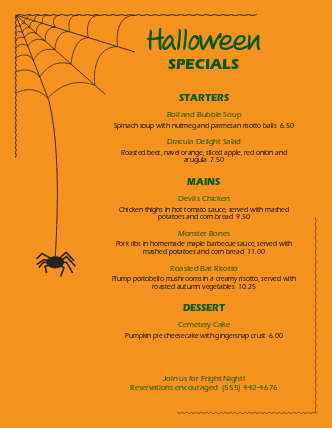 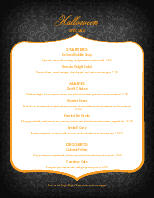 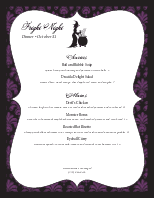 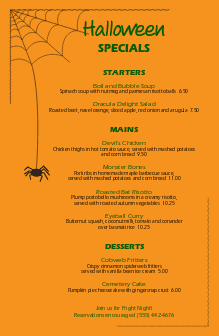 Customize this Halloween event menu online.